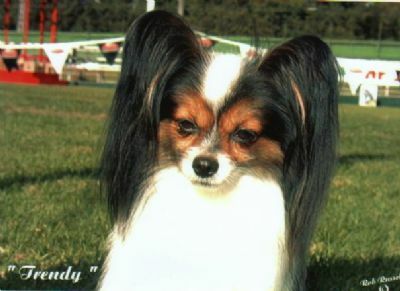 Trendy is believed to be the first Papillon to be awarded BIS All Breeds Championship Show in Victoria. He is also RUBIS Speciality Level and has many BIG & RUBIG awards under local, interstate and international Judges. He now enjoys his retirement at home with his girls!